Gone are the days when Middle Eastern cities were considered places of nothing but sand. Today, the top expat destination is in this part of the world. Considered home by thousands of expatriates from all over the world is the shining jewel of Qatar, the city of Doha. 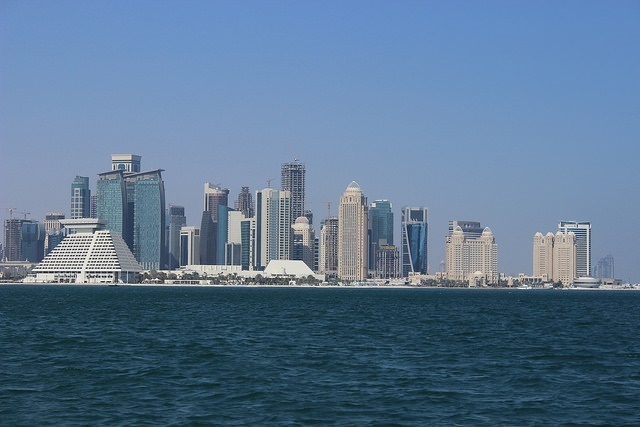 The city of Doha is the capital of Qatar and sits on the central east coast forming a wide harbour. It is considered the country's centre of administration, commercial activity, and population expansion. Being part of the Arabian Peninsula, Doha has an arid climate and despite the heat, Doha proves to be an oasis for many expatriates. Doha has a population of 998,651, with almost 80% of the population composed of foreign guest workers. 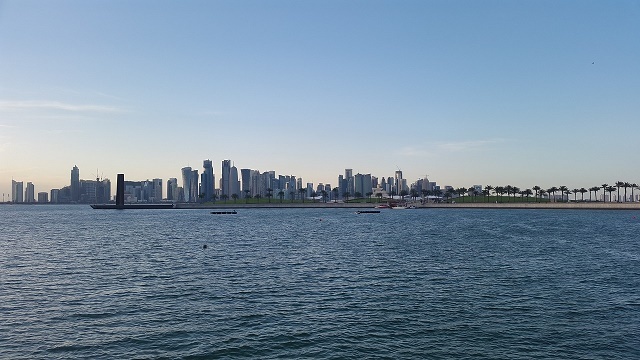 A large portion of the expatriate number in Doha is made up of nationals from South and South-east Asian countries such as Pakistan, India, and the Philippines. Also, expatriates from United States, Canada, France, South Africa, United Kingdom, and Australia have come in their numbers to live and work in Doha. Part of the Middle Eastern expat population boom is primarily due to the richness of its cities - literally. And Doha is one of those cities. It is rich and abundant not only with wealth, but with opportunities, promise, and oil - barrel after barrel. Doha's wealth base is the oil and natural gas industries. The Qatari capital is home to the main office of the country's biggest oil and petroleum companies like Qatar Petroleum, Qatargas and RasGas. Through this, the city has largely contributed to the country's continuously impressive GDP increase. In the year 2009, during trying times for the rest of the world, Qatar registered a real growth rate of 9.3%, ranking it third highest in the world for that year. Doha, like Dubai, is veering its economic dependency away from its major revenue source. But unlike Dubai, Doha heeds the demand for real estate rather than tourism. If you're from a GCC (Gulf Cooperation Council) member country, then you don't have to worry about entering Doha with a visa. For those coming from other countries, you must apply for a visa from a Qatar consulate or embassy in your home country. You are required to have a passport valid for at least six months, two colour passport pictures, an invitation letter (if applying for a tourist visa), or a company letter (for a business visa). The first thing to remember is the city's culture; despite the dominant expatriate population in Doha, the way of life observed is still largely based on the Muslim culture. Pack the right clothing. You don't have to wear an abaya, which is traditional Islamic clothing, but it is appropriate to cover up and wear a jacket or a shawl for example. Take light clothing like Capri shorts, pants, sleeved tops and lots of moisturisers. Since Doha is fairly accepting of Western culture, being a little ‘bare' won't earn you a place in a jail cell, but it will definitely earn you stares. From being a humble pearl-fishing town during the 19th century, Doha has risen over the years and became Qatar’s most modern and industrialised city. It's constantly progressing economy is one of the primary reasons why expats choose to relocate in Doha. You can look ahead to a promising career opportunity in key industries such as real estate, petrochemical and construction. This city is also the home of the country’s largest foreign population making it easy for you to fit in because there are many other expats that you can relate to. You may find the locals to be aloof at first, but as you stay longer, you will eventually feel their hospitality and yearning to build new friendships. Here are some pieces of advice that you can use to ensure a hassle-free relocation to Doha. Finding a suitable home in is every expats’ top priority when relocating. It is best to do research beforehand by browsing through websites that post real estate advertisements in Doha to gain some idea of what to expect in the city’s housing market. You will find it more helpful to hire a local broker once you arrive in Doha than to go searching on your own, which will take a lot of time. Just be precise with how much you are willing to spend for a house/apartment and what type of neighbourhood you're looking for so your agent can give you the best options in the market. Landlords do not usually include the cost of utilities (water, electricity, gas and garbage collection) in the rental pay so you have to budget around €70 monthly for these necessities. An unlimited internet connection in Doha with a minimum speed of 10mbps can cost you roughly €65 per month while local mobile phone calls are billed €0.15 per minute. The most in demand type of housing in Doha is within an expat compound, but since there is a huge population of foreign nationals who are competing for this kind of accommodation, you can also choose between an apartment and a villa. You should be prepared to pay a one year’s worth of rent upfront to the landlord to secure a unit if your employer doesn’t cover housing benefit as part of your relocation package. The city centre and West Bay are two of the most popular locations to find a nice apartment where the price of a one bedroom flat starts at €1800 per month and €3500 for a three bedroom unit. You can also find rentals in the outskirts for around €1200 monthly for a one bedroom apartment and €2400 for a three bedroom unit. Language barrier is one of the principal causes why most expat parents choose to enrol their kids in international schools. Doha is the home of the nation’s several institutions that follow the French, British, American and German curriculum. The Compass International School is one the schools that uses the International Baccalaureate Program (IB) in their teaching method. You can also consider the public and local schools in the city like the Qatar University , which is highly regarded for providing excellent education since 1973. Most accommodations in Doha are fully furnished and semi-furnished, but there are also some that don’t include any furniture or appliances. If you are moving to an unfurnished unit and need to bring in some of your belongings, there are international shipping and removal companies that you can contact to help you import your stuff to the city. These professionals will facilitate the whole moving process until you receive the delivery in your new home. It takes about 25-35 days, depending on your originating location, for the containers to reach the Port of Doha where local customs officers will conduct an inspection of the cargos. Click here to learn about the city’s import regulations. If you are bringing your pet, you need to present its Certificate of Vaccination, which is issued a month before arrival, Import Permit and the International Health Certificate signed by a government accredited veterinarian (from your home country) at least 14 days before import. Keep in mind that large and aggressive breeds of dogs are currently not allowed to enter Qatar. Do not be surprised to see left and right constructions when you arrive because of the city’s unstoppable modernisation. But as you take the time to explore Doha, you will find yourself marvelling at its incredible Arabic culture that is evident in many of its historical landmarks. Aside from the many opportunities for expats to start their career in Doha, it is also a good place for their kids to explore and experience as it is a family-friendly city. Music, Arts, Recreation and the Great Outdoors are just some of the many things every expat child may explore when they live in Doha. Places for the kids to visit in the city includes the Aspire Sports Development, Aqua Park Qatar and Qatar Bowling Centre. Kids would also love to paddle and build sandcastles at the shore of the Gulf or spend some time at the playgrounds in Sheraton and at the entrance of Souq Waqif. Foreigners living in Doha might just be so excited to find out that there are plans of building a bridge linking Bahrain and the United Arab Emirates to Qatar by the near future. Getting around the city by car could always be easy with the aid of GPS or through the use of Google Maps. Since many expats might be staying or living in a hotel during their stay in Doha, it would be noticeable that most hotels in the area does not have street numbers. As a piece of advice, it is really better to travel around the city through the help of the Qatar Geoportal website. What can go wrong with opening a bank account in Doha when Qatar is the richest country in the world? None really. There are lots of money exchangers scattered everywhere in the city particularly at the Doha Fort. Expats are free to approach any of the commercial banks in Doha which are all supervised by the Qatar Central Bank including Ahli Bank, International Bank of Qatar and Qatar National Bank (QNB). International schools in Doha offers the Independent British curriculum. There are almost 100 schools in Qatar which are all open to expatriates since most of their students are also foreigners. Some of the popular in the city includes International School of London Qatar, Compass International School – MadinatKhalifa, and Qatar International School. Expat students may also prefer to take some classes in private schools such as The Phoenix Private School and Doha English Speaking School. The advantage with living in Doha and handling culture shock is that it would be easier since 90 percent of the country’s population is made up of foreigners. It may be easy to dress up, especially for expat women since they are not necessarily required to wear a head dress but they must still take note that the Qataris are still very obedient with their Muslim practices. Language will not be a hurdle as well since English is widely spoken by the many foreign employees working in the city.